Oakham rugby players, past and present, have been garnering plenty of success in national and club teams. Old Oakhamian Hamish Watson (10) made a huge impact for Scotland in the Six Nations upon his return from injury last weekend, causing Wales significant problems. Meanwhile, Form 7 student Sam played in the U20 Six Nations for Wales a couple of weeks ago and gave the winning pass in the last minute against England resulting in a score of 11-10 to Wales. Form 6 student and Tigers Academy player, Kit, was selected to spend the weekend at the England U17 Camp as part of the Elite Performance pathway, which aims to produce players for both Tigers and England. Form 7 rugby player Jack spent half-term training with England U18s in Bristol in advance of competing in international games later this term. 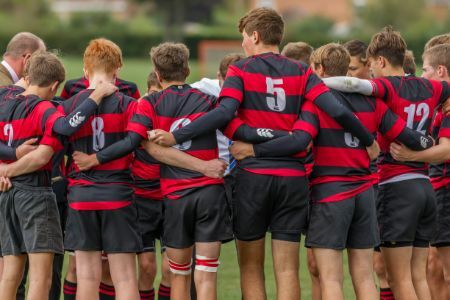 Oakham School rugby has also recently hosted a highly successful Rugby Sevens tournament in which 20 of the best rugby-playing schools from all over the UK took part.